Other A gift box print of your choice, with detachable photo prints and message, complete with a lovely gift item like tea tins, travel candles, petite bouquets, jewellery and more! It's layers of unboxing surprises! We can offer a free sample for customised box print on orders 100 and above! minigivs are personalised for the individual recipient. 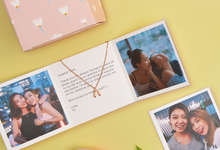 It is an all-in-one gift that combines photo memories, greeting card, and a lovely gift, boxed up in a beautiful print of your choice. 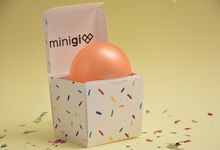 It's thoughtful yet affordable - we don't know anyone who won't be delighted to receive a minigiv! What goes into a minigiv? 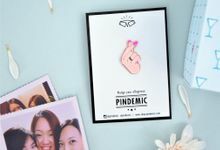 Your personal picks: a gift box print that's so her, a lovely gift that reminds her of you, 3 of your favourite photos and a custom message, just for her!